The magic of sacred spaces. Temporality and age are inherent in every object and creature and, depending on one’s outlook, may transcend to infinity. How can this be imagined? What goes beyond it? The filmmaker Christoph Schaub starts his personal journey through time and space in his childhood, when his fascination with sacred buildings began – and his wonder at beginnings and ends. Schaub explores, together with the architects Peter Zumthor, Peter Märkli and Alvaro Siza Vieira, the artists James Turell and Cristina Iglesias and drummer virtuoso Jojo Mayer, the magic of sacred spaces, defined here as far more than church buildings. Who owns spirituality? 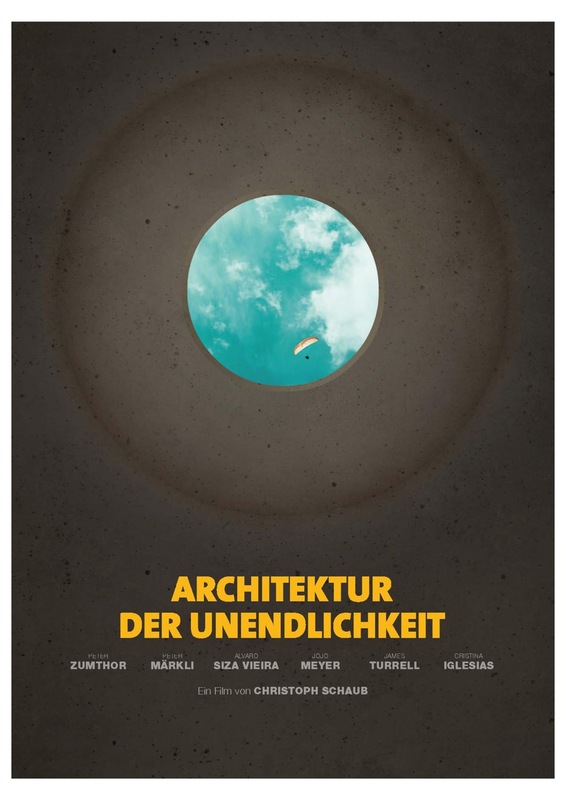 The film follows “spiritual life” in architecture and the fine arts, but also in nature, and literally lifts it over and above the limits of thinking. A slightly floating camera immerses us in somnambulistic images, takes us on a sensual and sensing journey through vast spaces, and guides our eye towards the infinity of the starry sky and the depths of the ocean. Past and present, primeval times and light years, it’s all there.